The Tygron Geodesign Platform is fully integrated multifaceted software, designed to make fast and informed decisions based on geographical data, comprehensive analytics and advanced computing models. The platform enables users to create their own new projects fast and easy, by combining open data with their own data. This is a versatile and flexible platform that effortlessly communicates with existing software packages using an API, or that exchanges data based on open standards. The platform is controlled by a cluster of super computers allowing data processing and complex calculations at unprecedented high speeds. The Tygron Platform provides a powerful tool to explore various scenarios, review plans and to involve stakeholders in the decision-making process throughout all the stages of the project. It can be easily used in the various phases of projects, from design, analysis, stakeholder participation up to their implementation. Perform calculations of floods, drought and water quality, at present as well as in future situations. Perform calculations of the current water flooding, drought, heat stress and explore climate measures together with stakeholders. Tackle peat subsidence and its implications. Explore measures and limit the impact together with stakeholders. Establish environmental plans and visions based on data and realistic computing models and get people to participate. Stakeholders actively start working on more sustainable town districts. All stakeholders must be given an individual role in the realistic 3D world for a joint search to solutions that are widely supported. Simply perform computations and drawings in a realistic 3D world, experiment together with stakeholders towards solutions. Provides a fast and clear view of the impact of a new plan on the physical surroundings. 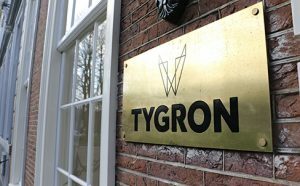 Tygron is a Dutch software company which was set up in 2005. We are developing the Tygron Geodesign Platform: cloud-based software facilitating users in the generation of their own dynamic 3D models based on geodata and computing models. The software is fast, interactive and visual, making it particularly suitable for directly involving stakeholders (including non-experts) in every aspect that needs considering. The implications of intervening in our surroundings are immediately visible; it provides stakeholders with proper information, enabling them to join the conversation. This latter aspect is of paramount importance to us. We believe that the Tygron Platform helps the processes to run faster and with more transparency, which in turn promotes democracy. For this very reason, more and more municipalities, provinces, water authorities and consultants are using the Tygron Platform to assist in their activities in area development. Tygron observes due care with regard to your privacy and the security of your data. Our policy is based on the General Data Protection Regulation (GDPR) and we have taken any possible technical and organisational measures to protect (personal) data. Please click the read more button to find out how Tygron applies safety and data protection.